Our messaging team is on the way to Chicago for the International Telecom Week! Schedule a meeting! 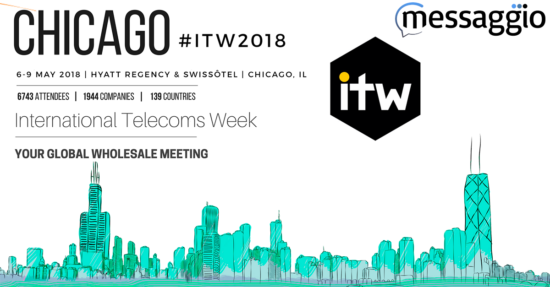 ITW (International Telecoms Week) is the annual meeting for the global wholesale telecoms industry, providing a platform for 6,939 delegates from 2,081 companies and more than 135 countries to meet together and network.